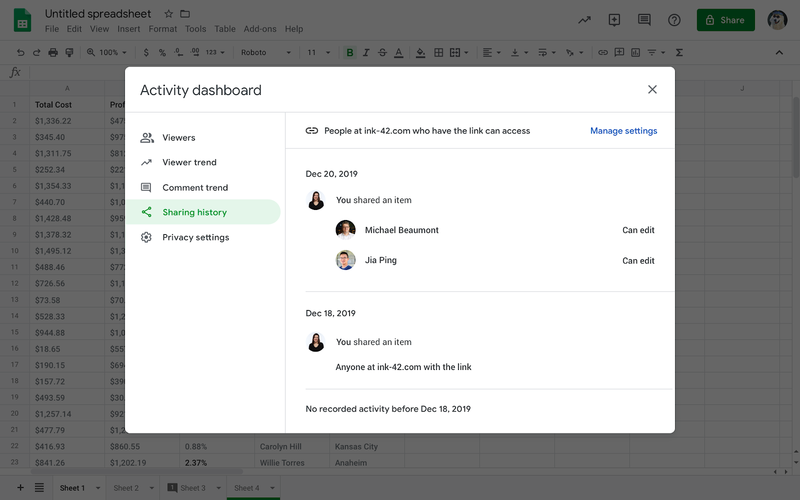 Last year activity dashboard was introduced on Google Docs, Sheets and Slides which let you see who have viewed your document and other stats. Now, these three G Suit services are getting history sharing and comment analytics features. The follow-up experience was improved on documents with the Activity dashboard, like instead of asking manually, it let you know if your coworkers have seen the updated file. “Sharing History” tab will let you see the way files are shared in a detailed manner, like, who provided the access by sharing it and to which level editing was allowed in it. Apart from sharing with an individual, option of sharing with anyone will also appear. The "Comment Trend" tab will let you see the conversation in a specific document. The number of comments of replies can also be viewed through it. Using a drop down menu, on the upper right corner, you can also select the time-specific analysis. 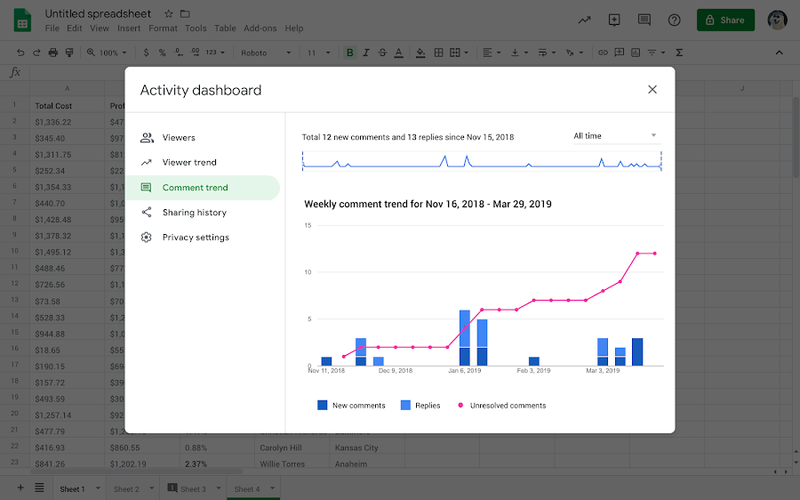 "Weekly Comment" chart in the Comment Trend tab will illustrate the latest trends, new replies and identify the unresolved comments present on the document. Also Read: Google is Introducing new Commands to Filter Results Based on Specified Dates! These features are expected to be available in the next few weeks for all G Suit editions. Read next: Google Maps will soon start featuring more ads, but should the users be concerned about their privacy and convenience?